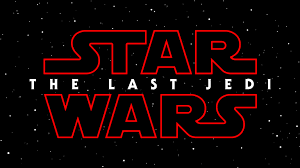 What was undoubtedly Rian Johnson's calling card and paramount to him landing the gig as director of The Last Jedi, this thought provoking and stylish sci-fi film indicates the talent of the man behind the lens of the next chapter in the Star Wars franchise and what delights to expect as this talented filmmaker will bring to this well loved series. Interesting and insightful documentary about David Prowse ,the bodybuilder and actor who famously portrayed the role of Darth Vader. However, unlike most Star Wars stars, he is relatively obscure since James Earl Jones dubbed Vader's voice and Sebastian Shaw portrayed an unmasked Vader. In this documentary, the directors will find some clues about the infamous difficult relationship between Prowse and Lucasfilm. After a somewhat sluggish trilogy reboot this 2015 feature gave the franchise a well needed return to form in the more than capable hands of J.J. Abrams as some familiar faces as well as some fresh blood inject a renewed energy to the popular series. Also will act as a handy "previously on Star Wars" tool to bring the audience up to speed storywise! A more than capable addition to the Star Wars franchise this story breaks new ground whilst also remaining loyal to the series origins. Gareth Edwards take on this classic sci-fi movie was, unsurprisingly a big hit in the box office and is worthy of another look! This Mel Brooks directed spoof comedy may not have the gravitas, visual effects or magnificence of other Star Wars films but is enjoyable nonetheless and it shamelessly pokes fun at the franchise in the Brooks own individual style. It also features the late great John Candy which can never be a bad thing. Good fun!